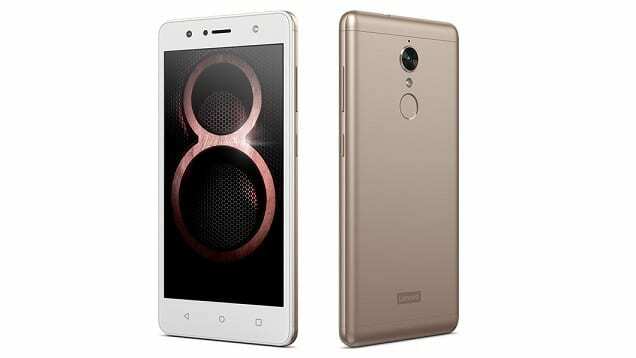 Lenovo K8 is a mid-range smartphone sprinkled with some interesting specs. It comes with a regular-size HD display, an octa-core processor, decent RAM, and impressive battery power. Featuring a metal chassis, the Lenovo K8 shows off a durable and appealing design. Anyone familiar with the devices in the K Series will not find this surprising, though. The phone measures 8.55 mm in thickness and 165 g in weight. It comes in gold and black colour variants. There is a 5.2-inch screen on the front, similar to what you’ll find on the Gionee X1s. This has a resolution of 720 x 1,280 pixels and has curved glass on top. It supports 10-point multi-touch. The Lenovo K8 pairs a 13-megapixel rear shooter with an 8-megapixel front camera. You get dual-LED flash for the main camera. Image quality to expect should be great, at least on paper. There is generous 32 GB of onboard storage space for keeping your photos, videos and all. Lenovo K8 supports up to 128 GB more using a microSD card. With an octa-core MediaTek Helio P20 processor in the mix, you can look forward to decent performance. The 1.5GHz CPU comes with a Mali-T860 MP GPU. It gets a boost from 3GB RAM. This setup should comfortably handle most games available right now. The Lenovo K8 ships with Android 7.1 Nougat operating system. 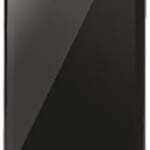 A large 4,000mAh non removable battery provides power to get the phone rolling. You get a promise of up to 3-day runtime under normal usage conditions. But it doesn’t appear like the juicer supports fast charging. The Lenovo K8 reportedly offers a fingerprint scanner. It comes with dual SIM card slots, both of which support speedy 4G LTE connectivity. Other features on offer include USB On-the-Go (OTG), Bluetooth 4.2 and Wi-Fi 802.11 a/b/g/n/ac. Lenovo K8 is not yet available in Nigeria, Ghana, or Kenya. When available, you can buy it at leading online stores in the countries. Lenovo K8 price in Nigeria is expected to range from 57,500 Naira to 95,000 Naira depending on your location in the country. Price in Kenya should start at around 16,500 KSh. Lenovo K8 Price in Ghana should start at around 705 GH₵.